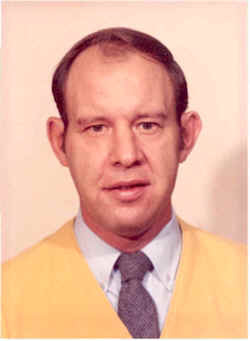 Detective Sergeant Jack Ohrberg was shot and killed while attempting to serve murder warrants on several gang members at 3544 North Oxford Street. Detective Sergeant Ohrberg, a homicide investigator, was following up on an investigation into an August 4 robbery and slaying of a Brink's Guard at a local K-Mart store. Re-examining leads on the case, he and his partner found information linking the case to a bank robbery of the American Fletcher National Bank. The detectives compared notes with the FBI and concluded they had enough information to make arrests on the bank robbery. Raids to serve the warrants were organized for several locations. Detective Sergeant Ohrberg was shot when he attempted to enter one of the residences to serve the warrant. Two suspects were apprehended by other officers at the scene. Both suspects were convicted of murder and sentenced to death. On December 8, 1994, one offender became the last person to be executed by electrocution in the state. On July 18, 1996, the other offender became the first person to be executed by lethal injection in the state. Detective Sergeant Ohrberg had served with the Indianapolis Police Department for 19 years. He was survived by his wife, four children, and two granddaughters.